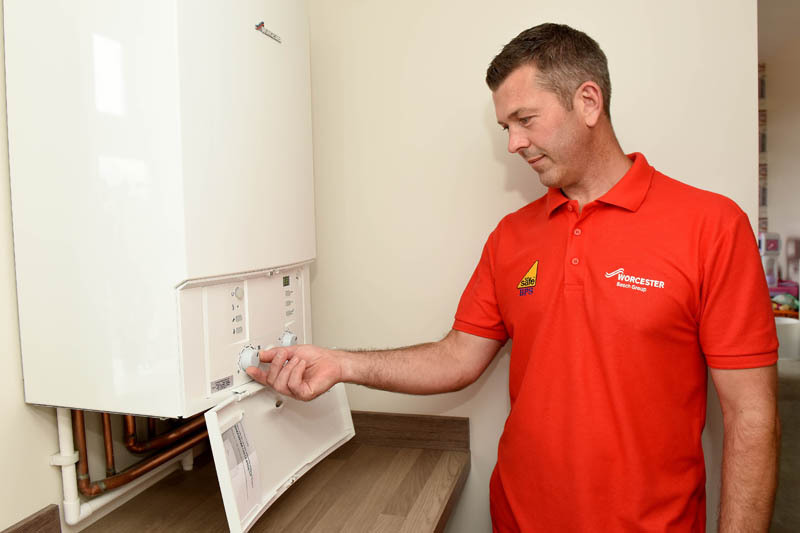 As more investment is ploughed into the research and development of hydrogen for domestic heating applications, Martyn Bridges, Director of Technical Communication and Product Management at Worcester Bosch, explains how it could be the fuel of the future. The consistency and reliability of the UK’s gas network provides assurance and peace of mind for millions of homes. For this reason, replacing natural gas altogether may seem like a big leap. But is it such a strange idea? For many, the phrase ‘if it ain’t broke, don’t fix it,’ could apply here. With increasingly stringent emissions targets, with a view to all heating and hot water generation being decarbonised by 2050, something needs to be done if the target is going to be reached in time. Considering that hydrogen, coupled with carbon capture, doesn’t produce CO2 and carbon monoxide (CO) by-products as it is burned within the home, this may just be the solution we’ve been looking for. But won’t a switch to hydrogen mean an awful lot of hassle for installers and homeowners? Not particularly, given the UK has a history of successful fuel migration, having successfully shifted from Town’s gas to natural gas in the 1960s. A transition of any kind has its challenges, but the UK has already proven its ability to switch. This isn’t without issues however, but it certainly looks easier when compared to other alternatives on the table, such as electrification. Adding further clout to the case for hydrogen is the Northern Gas Network’s H21 Leeds City Gate report. The 2016 study detailed exactly what would be required to take the gas distribution network of a city, in this case Leeds, and convert it to hydrogen. Not only did the report conclude that this kind of solution could work in practice but, because both methane and hydrogen flow in a similar way, we could even keep our existing gas infrastructure. This means that with hydrogen, the lifestyle of homeowners would not differ significantly to what they are used to now. Yes, it is almost certain that they will need new appliances. However, the operation of these appliances will be very similar to the current natural gas products being used today. In other words, the 17m homes with combi boilers could have another one. Those homes with a heat pump will require hot water storage, so some living space will need to be commandeered for that purpose. Policy and funding allocation are also increasingly pointing towards the possible future use of this fuel type. Of the £35m set aside for the ‘heat innovation projects’ announced in 2017, £25m of the fund was allocated to the investigation of hydrogen as an alternative domestic heating source. More recently, the UK’s energy and clean growth minister, Claire Perry, announced a £20m funding boost to businesses embracing the potential for a future UK hydrogen economy. Investigations are also being made into the use of a mixture of hydrogen and natural gas: around 20 to 80% respectively. This would be a more achievable way of moving towards a carbon-neutral society. It is not yet known if and when this switch will happen. We do know, however, that interest in hydrogen as a potential domestic heating source is growing. This will require additional funding in order to convert the UK’s gas grid, and design and develop hydrogen-fuelled appliances. At Worcester, we’re already looking at how a hydrogen-fuelled domestic boiler might be brought to market. Overall, it is essential that we continue evolving and developing how we source and use our energy, especially if the UK is to comply with the Climate Change Act and reduce emissions by 80% over the next 32 years. For more information, visit www.worcester-bosch.co.uk.